What can a Broderson Crane do for your next project? The short answer is to bring the finest quality performance and rugged construction to your job site. The right tools make the toughest jobs easier, and Broderson Cranes are the right tools for Rough Terrain or Industrial jobs. Broderson Manufacturing has been building cranes that are versatile, durable, and of the highest quality for 45 years. 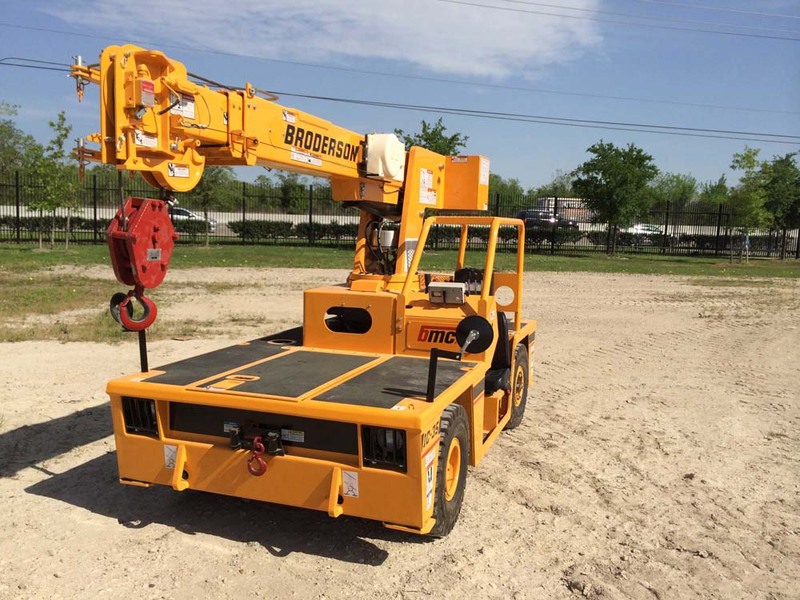 Broderson specializes in Rough Terrain and Industrial Cranes. 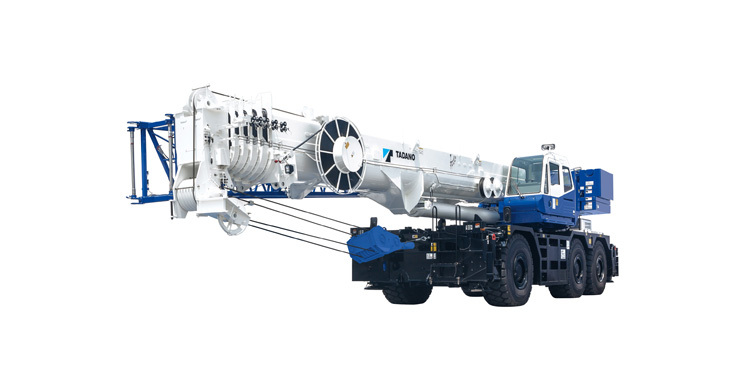 Boasting the largest lifting capacity of Tadano's rough terrain cranes, the Tadano GR-1600 can lift up to 160 US tons. When coupled with its innovative, six-section round telescoping boom, its 201.1 feet lifting height and its compact design, the Tadano GR-1600 ushers in a new era of maneuverability and lifting capacities for today's job site. 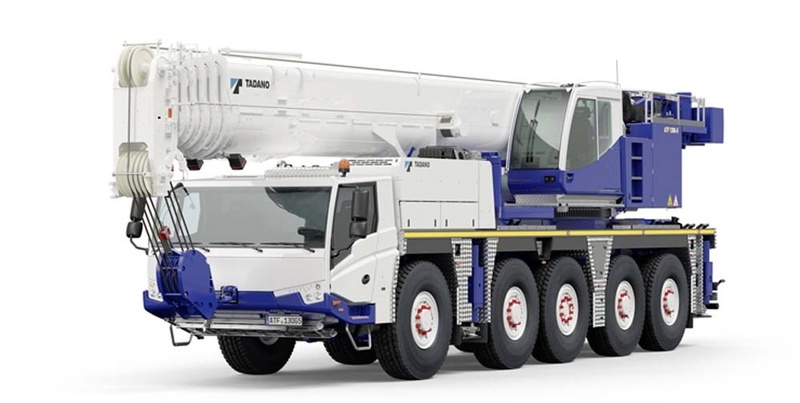 The Broderson RT400 is the most powerful crane from this long-standing company. 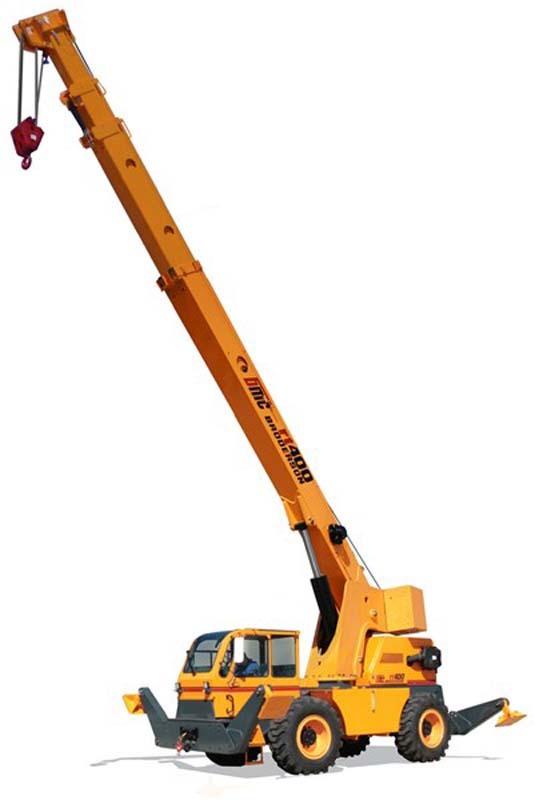 Capable of lifting up to 20 tons, this crane can handle a range of rough terrain found on the job site. 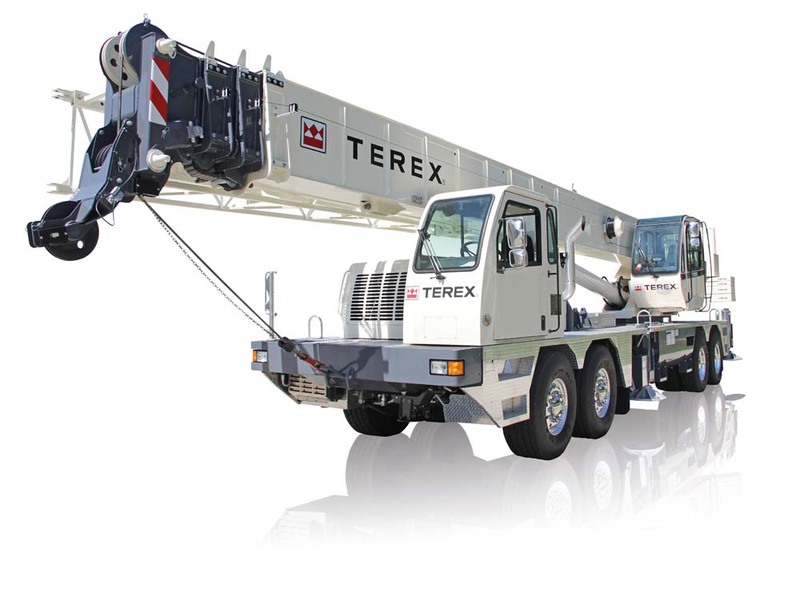 A four-section boom sequentially extends and retracts while offering a continuous rotation of 360 degrees. 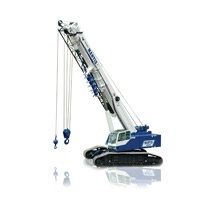 This feature allows the Broderson RT400 to lift heavy loads higher. 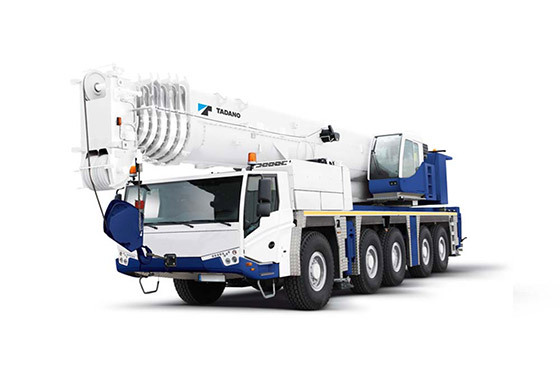 Whip is reduced as well by this design when the crane is used to move heavy loads. 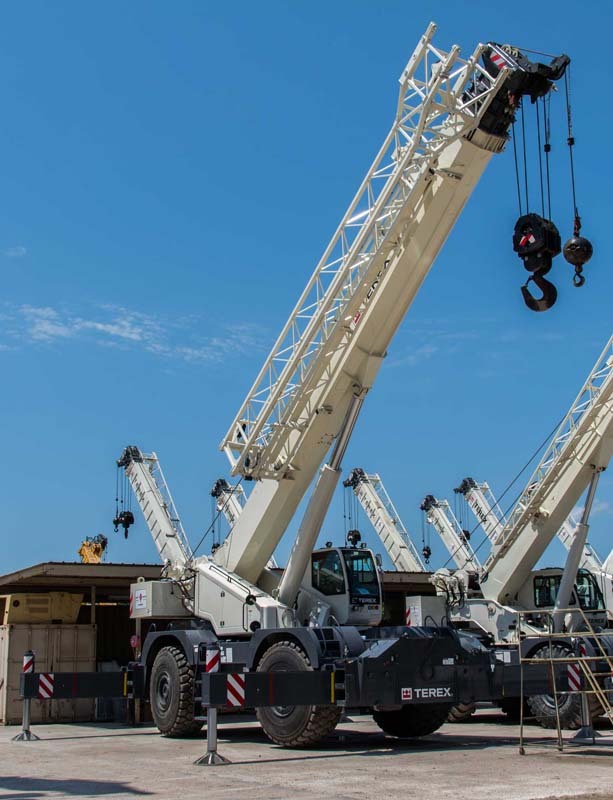 Combine a maximum capacity of 80 US tons, the ability to get on the highway and tackle rough terrain with ease and the result is the Terex T 780 crane. 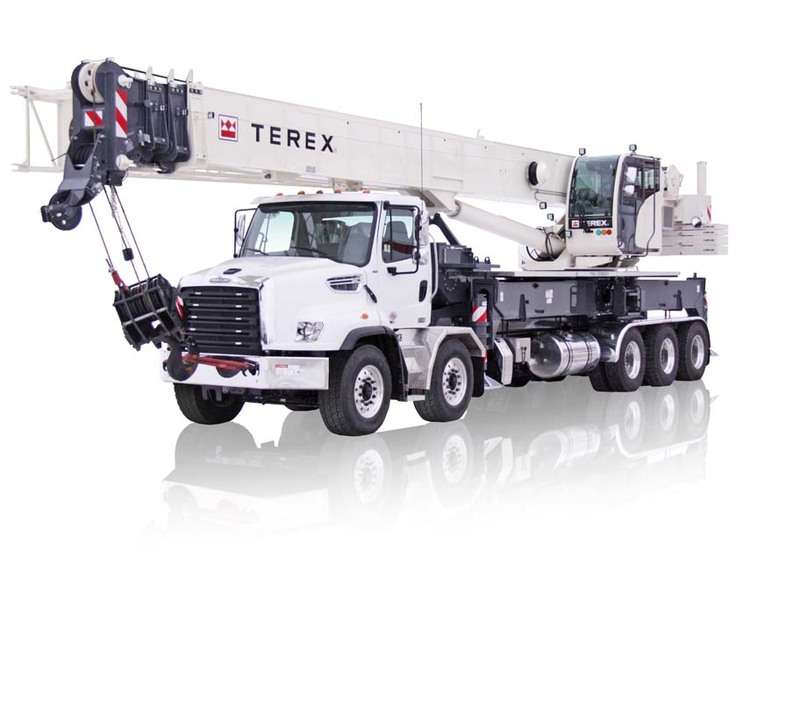 With a 450 horsepower engine and an enhanced 126-foot maximum boom length, the Terex T 780 is a tough and versatile addition to any job site. 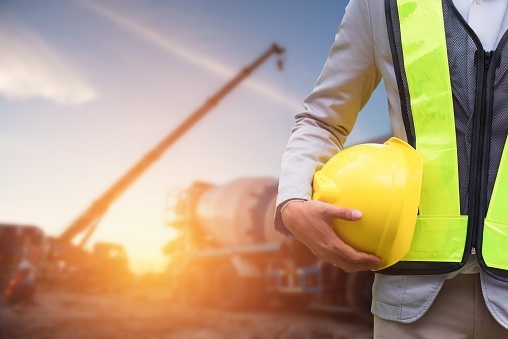 The old adage "use the right tool for the job," holds true no matter what tool you're using, from a simple screwdriver to the largest, most versatile cranes manufactured in the world today. Although today's cranes definitely aren't simple, this principle certainly applies. It all about getting the right tool for your project.